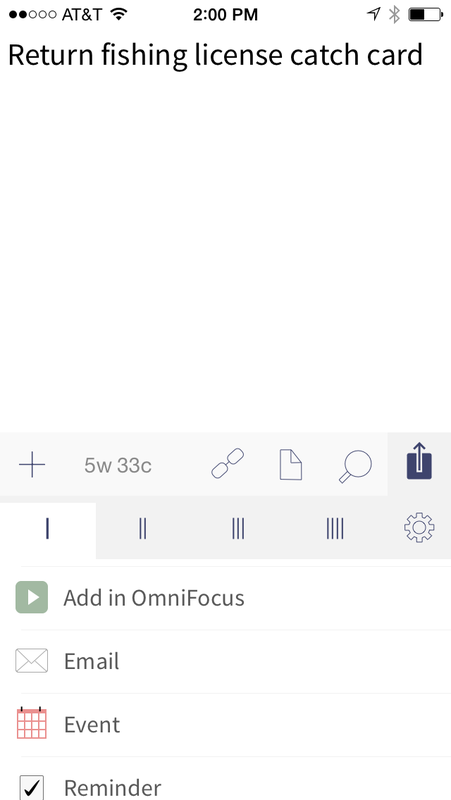 A collection of apps that have OmniFocus support built right in. These are all covered in depth on the URL Schemes page. 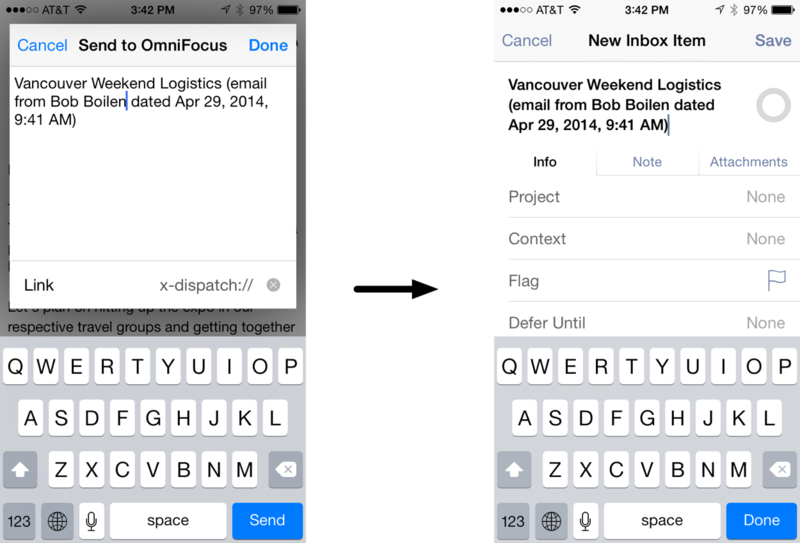 The email client Dispatch sending an email to OmniFocus. The incredibly versatile Drafts app, sending a note to OmniFocus for iPhone.